Engine designed specifically for FPV Racing - this is also the case for its extremely low weight, which is only 29.5g, which is an interesting result in category 2306 . 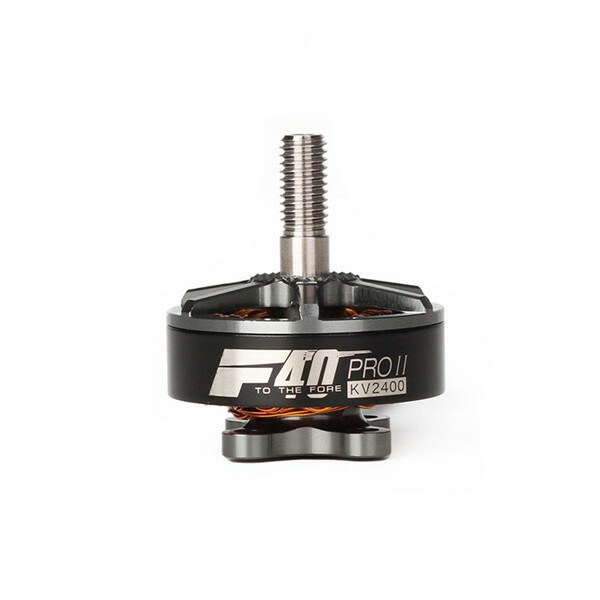 The F40PRO II (v2) boasts even higher quality bearings than its predecessor, but also with a pecional silver winding that resists temperatures up to 240 ° C, so it is more resistant to overhead currents than its competitors. The F40PRO II wound at 2400KV is the ideal ratio between high efficiency and maximum power, making the engine a high torque , making it a great choice for freestyle rails. The bearing surface at the front of the engine has a roughened surface for secure propulsion of the propeller. The user-proven quality and appealing design of the F40PRO II makes it one of the most attractive T-engine products for 2018 .